A European Parliament law in connection with an Italian Presidential Decree and an Italian Department of Agriculture law law all define grappa as a grape spirit produced exclusively from grape pomace (skins and seeds following separation from entirely or partially fermented must) with the potential addition of a quantity of lees. They specifically legislate that the raw materials used must come from grapes produced and made into wine in Italy in compliance with the specific provisions in effect and at plants located in national territory. 1- Grappa is the grape spirit made from the distillation of the pomace that enters the still as a solid raw material. This is a fundamental premise, because although distilling a pleasant light wine obtained by leaching the pomace reduces the risk of bad production, and is cheaper, it does not lead to obtaining a distillate that is distinguished by its richness of aromas, which only direct distillation of the grape skins and the aromatic substances they contain can bring about. In Italy, distillation has always been done from the solid pomace and therefore the complex technology that is the foundation of grappa's unique character has been refined over centuries. 2- Grappa must be produced in Italy in order to protect its defining characteristics - first and foremost its aromaticity - which derives from experience and skills passed down by generations of master distillers. They have adapted their stills based on the specific features of the pomace to be used and the characteristics of the grappa being made. 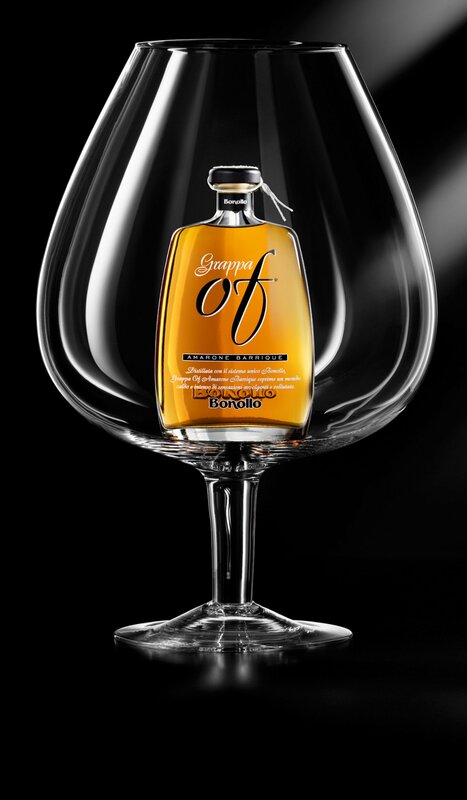 Therefore, each grappa may be considered a unique and inimitable work of art.Therefore, each grappa may be considered a unique and inimitable work of art. Squeezing the grapes produces a liquid (must) and solid parts (skins, seeds and, if not separated out, grape stalks), which together comprise the pomace. It is called sweet or `virgin` if there is a considerable amount of fermentable sugar present, and described as fermented when the sugars have undergone complete conversion into alcohol. In the former case – when pomace derives from grapes used to produce white wines - the pomace must ferment before it can be sent to distillation. The pomace contains two consistent components: water and alcohol. Basically, distillation is the physical and chemical process that, through heat, enables these substances to be vaporized, separated and recovered in liquid form through condensation caused by a decrease in temperature.